More than 1.2 billion people use Microsoft Office around the world. Unfortunately, most people — even those who are right next to you — might not be so fluent in it or in any of the programs in the suite. 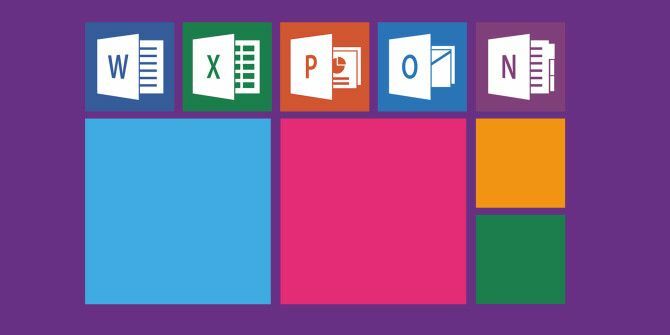 Microsoft Office 2016 also introduced a few new productivity features 13+ Reasons You Should Upgrade to Microsoft Office 2016 13+ Reasons You Should Upgrade to Microsoft Office 2016 Microsoft Office 2016 is here and it's time for you to make a decision. The productivity question is -- should you upgrade? We give you the new features and the fresher reasons to help you... Read More , and there’s a bit of a learning curve there. How can you speedily bring them into the fold and help them become familiar with the new features in the latest makeover of the productivity suite? Start small. Start with the user-friendly Quick Start Guides provided by Microsoft. Microsoft has cleaned up its act since the early days when support material to learn the program was scant. Now you have entire training modules and even a dedicated feature like the Tell me what you want to do that makes the new user far more comfortable with the features on the Ribbon. The Quick Start Guides can be the first step you take on the learning curve. Quick Start Guides are available for all programs within the Office suite. You can opt to download the PDF version or go through it quickly in your browser with a Sway presentation. They are beautifully designed with clean visuals that take you through the process of creating and saving your first file. The useful tips, shortcuts, and screenshots will help you find your way around. Microsoft Office 2013 users will find many of the features similar but the guides should help them quickly orient themselves in the program. You can print them or share them with anyone who wants to jump into the program. Quick Start Guides are also available for Office Mobile for Windows 10 and Office 2016 for Mac. Want to learn more? There’s the official Office Training Center, a page you should always keep bookmarked. Then, take the many free and paid courses available online to dive deep into the powerful office software. Gavin outlined a few of the best ones in a previous look the best online courses on Microsoft Office Upgrade Your Skills with the Best Microsoft Office Courses Online Upgrade Your Skills with the Best Microsoft Office Courses Online Microsoft Office is a required skill across offices worldwide. How adept are you? Massive Open Online Courses offer everyone the training to get better at it anytime, anywhere. Read More . Have you upgraded your skills on MS Office? Or helped someone improve theirs? Which resource did you use for support? Explore more about: Education Technology, Microsoft Office 2016, Productivity.